My husband found a Beigne Au Biscuit Au Sucre, Sugar Cookie Donut, at Tim Hortons. It's one of the Gâteries Festives (Festive Treats) for the holiday season but I couldn't find it at all the branches I went to. 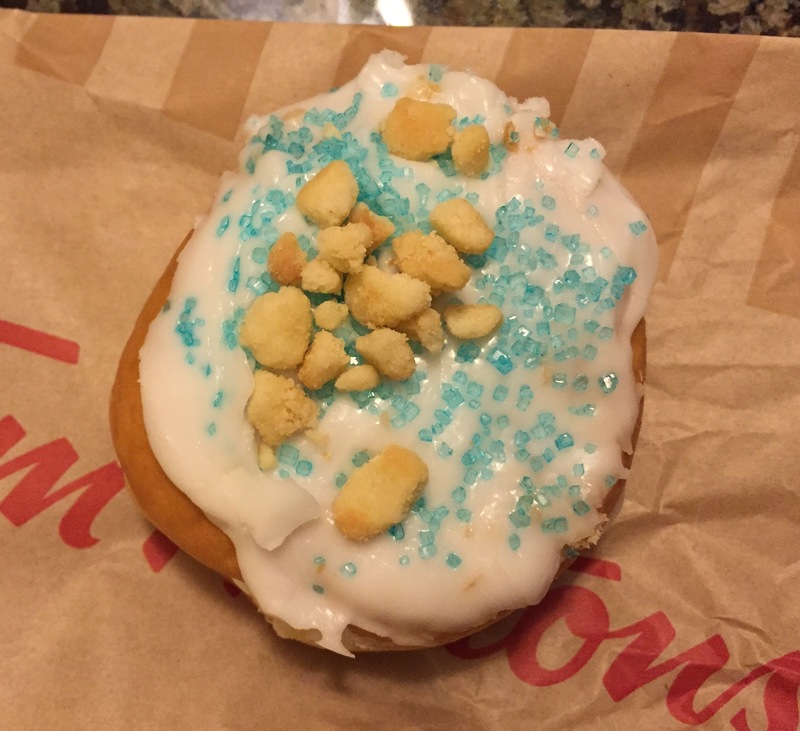 The donut had white frosting on the top with shiny blue sugar used for the Latte Au Biscuit Au Sucre, Sugar Cookie Latte. And also there're crushed cookie pieces. On the side, there's a hole to inject the filling. 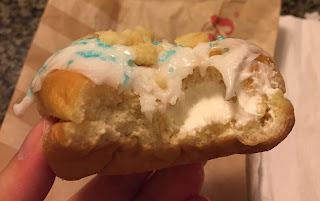 From the first bite, I reached the sweet filling. 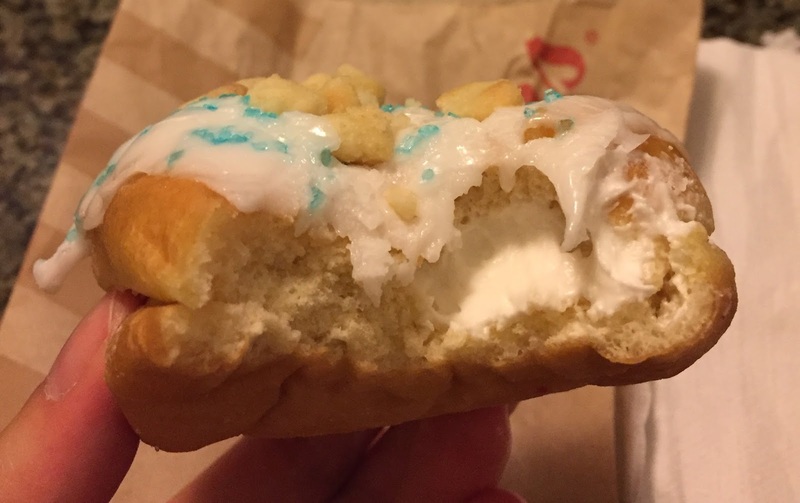 The filling was thicker, creamier, and richer than regular whipped cream. 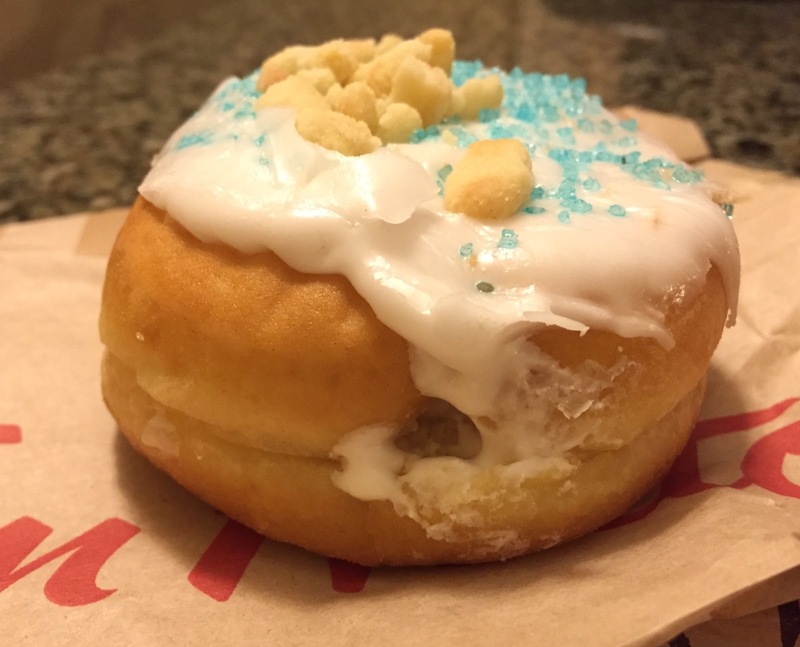 The donut was soft and fluffy, and the cookie pieces were light and crispy. 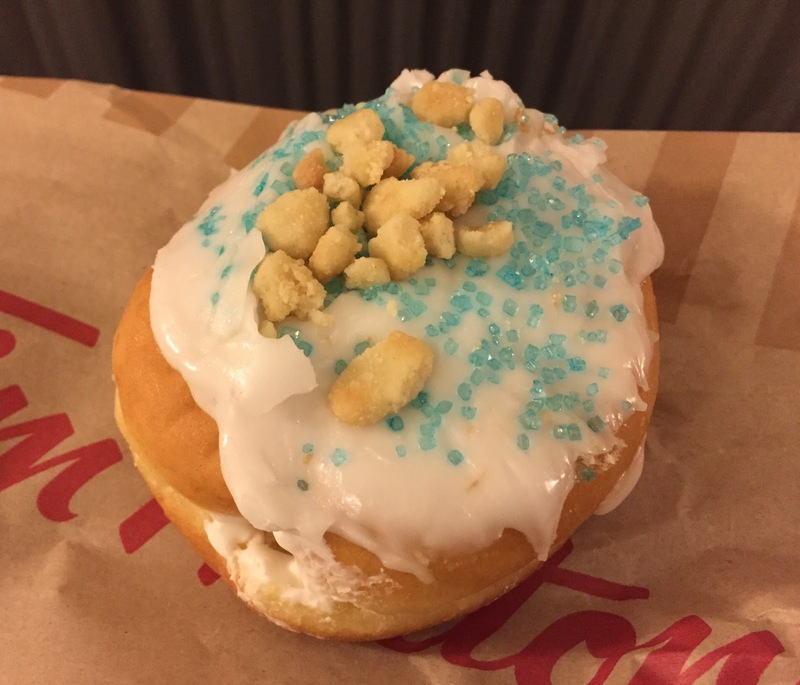 With the crunchy blue sugars, this festive donut was quite sweet. 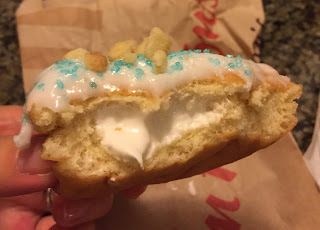 Other Tim Hortons' goods I reviewed are below.